WorkGold plated jewelry, decorated by pearl, light pink, maroon AD stone. 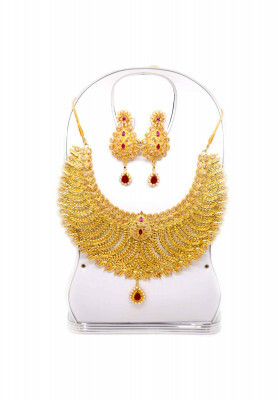 Traditional gold plated necklace set, with ear-rings. 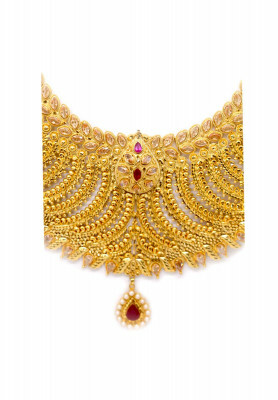 Comes with beautiful light pink and maroon AD stone and pearls work. Ear-rings are designed in floral style. Great choice for attending receptions. Goes best with Sharee.